In January, online casino giants GR88 launched what it claims is the first ever truly 3D slot machine game to hit the online casino circuit. Sterling Silver 3D is an innovation in online gaming and allows virtual gamblers to have the sense of a real-life slots session in front of their computer screens. The game is a development of the already popular Sterling Silver online slot game and brings features that players may be more familiar with from viewing 3D movies rather than their virtual gaming experience. While there are plenty of other slots games already online that sell themselves as 3D slots, Sterling Silver is different. The blurry images on the screen clarify into a slot machine that leaps from the screen when putting on 3D glasses and allows players to fully immerse themselves in the game. The game will be familiar to many online slots players and features a five-reel video slot. The game has 25 pay lines and includes a free spin feature with a 2x multiplier and various other wild card multipliers ranging from 2x all the way up 10x. The game allows players to bet between 0.01 and 0.25 per line and a maximum stake of 31.25 gives those playing a huge number of plays and free spins. There are plenty of other slots games in online casinos that purport to offer a 3D gaming experience but even with their sophisticated graphics they don’t come near the Sterling Silver calibre. The only game to date that’s been designed to require 3D glasses to get the full effect, GR88 are taking the concept to the next level. Online slots have proven to be a growth area in the virtual casino market and understandably so. The expansion of sites offering free online slots games, including on Facebook and other social media sites, has whetted the appetite of gamers for this type of game. 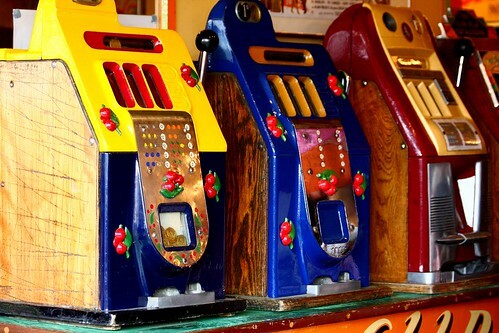 Slots are popular online for many of the same reasons that they’re popular in person. Surprising psychological studies carried out in Las Vegas have shown that people experience a calming effect from the rhythmic processes of using slots and that for the vast majority of players it isn’t even about the money. Reporting the findings in Psychology Today, Susan K. Perry noted that even more than players and their personalities, the design of slots games and the way they work is a big part of what means they now make up the largest proportion of revenue for casinos worldwide. The development of this 3D slot game further enhances this feedback loop and means more attractive gameplay for the player. The reproduction of that human-machine interaction that attracts players to slots in the first place means that this game may be the first of many to give players a real-life slots experience in the comfort of their own homes. As with all new products, GR88 are keen to get people playing their new game and talking about it with their friends. To entice in new players to try out the new gaming experience, gamblers can win themselves $100 of free credit to try it out if they register before the end of January. As the most compelling part of both real-life and online gaming, slots are a growing area that is likely to continue to expand and diversify as technology improves. This first step by GR88 into true online 3D slots is likely to pave the way for others to follow and see more development and diversification in the way slots are designed and offered to gamers online. If you are interested in news stories and bonuses in online gambling, visit http://freecasinocash.org/ for regular stories and updates. ← About Thunderball Lottery and How To play It?